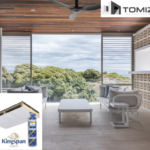 We would certainly recommend Tony Tomizzi Builders to anyone who is after not just a house but a home built with Tony’s attention to detail and pride in his product. Our home was the winner in the 2016 MBA Housing Excellence Awards, a testament to Tony’s efforts. 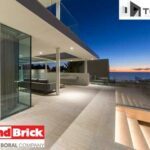 Our bank manager said he had many clients who, at the start of a build, claimed to be building with Perth’s best builder. However, by the end of the build, they had renounced that claim. 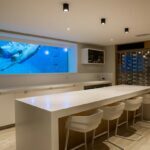 We were his first borrowers who maintained that we did have Perth’s best builder from start to end and this reflected how well our build had gone! 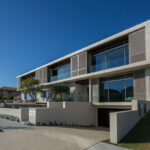 We have worked with Tony Tomizzi throughout the construction of a multi level home in City Beach. As the architects for the project, we have been extremely impressed with Tony and his team’s attention to detail, quality of construction and administrative efficiency. The home was completed within budget and ahead of schedule under a Cost Plus building contract. Tony coordinated the building work in a professional, organised and friendly manner at all times, making the building process a pleasant one for all concerned. The fact that the owners, the architects and the builders of this project, all enjoyed the building process and are delighted with the end result, is testament to the quality of the building service provided by Tony Tomizzi Homes. We are currently working together on the design stage of several new projects.